My lovely brothers are hosting a Mother’s Day brunch this Sunday for all of the moms in our close-knit family. As one of the moms being honored at this Mother’s Day Brunch, I will be requesting that my brothers follow Claire’s advice here by making something cheesy and savory and definitely topped with an egg. 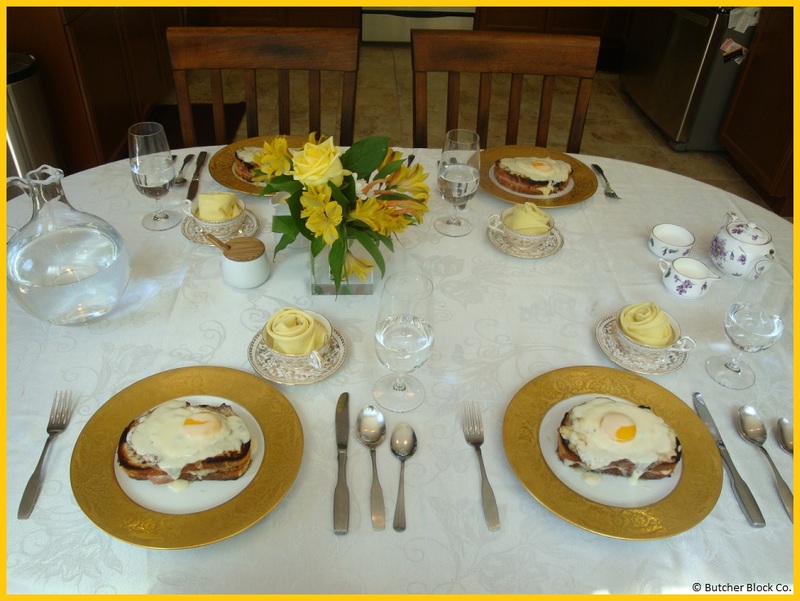 Claire not only provides us with another delicious breakfast/brunch recipe, she is also determined to make us all a little weepy with a beautiful dedication to her mom. I haven’t met Lynn, but if Claire is any indication, her mother has done a darn good job. Claire, I’ll hand this off to you now. Make us cry, but then please make us feel better with fantastic food! For fairly obvious reasons, I’ve been thinking a lot about moms and motherhood these past couple of weeks. Not everyone has a mom, and not everyone who has a mom has a good mom. 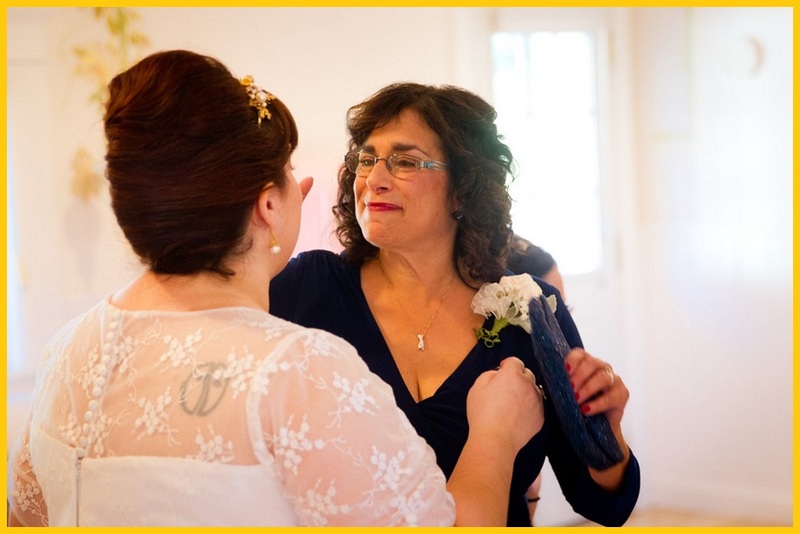 Reflecting on that fact makes me feel, above all, grateful that my mother, while human and flawed like anyone else, has been good and caring and supportive of me for my whole life. She put up with me and believed in me, even during my most chaotic years, which admittedly lasted far longer than they should have. She cried for me. She cheered for me. She went gray for me. Through everything, I have always known that if I needed her, she would not hesitate to be at my side, whatever the cost. She is a good mom. If anyone deserves to retire in style, my mom does, and damn it, she is doing it. This summer, she and my dad are selling the home I grew up in, and they are moving onto the boat they have spent the last 10 years restoring. They will spend the foreseeable future sailing around this gorgeous planet of ours, seeing all the things they didn’t get to see while they were busy being attentive and fiscally responsible parents. This morning, it occurred to me that once they set sail, it will be the first time in my life that my mom is going to be ACTUALLY unavailable to me, despite the fact that I moved over two thousand miles away from her eight years ago. It’s a new feeling, and one I’m having a hard time processing. It’s making me miss my mommy. So, in honor of my mom and my feelings, I am throwing a Mother’s Day brunch in her honor. Even though she’s too far away to join me at my table today, I know she’s well represented here. She taught me to appreciate a well-appointed place setting, and so I am setting the table with the linens I remember eating off of in her house, and serving the meal on her mother’s gold plates. She taught me to never scrimp where it mattered, so I am using the best ingredients I can find. And she taught me how to make Hollandaise, and it is finicky and temperamental, so I’m skipping it this year. Besides, eggs Benedict is played out. 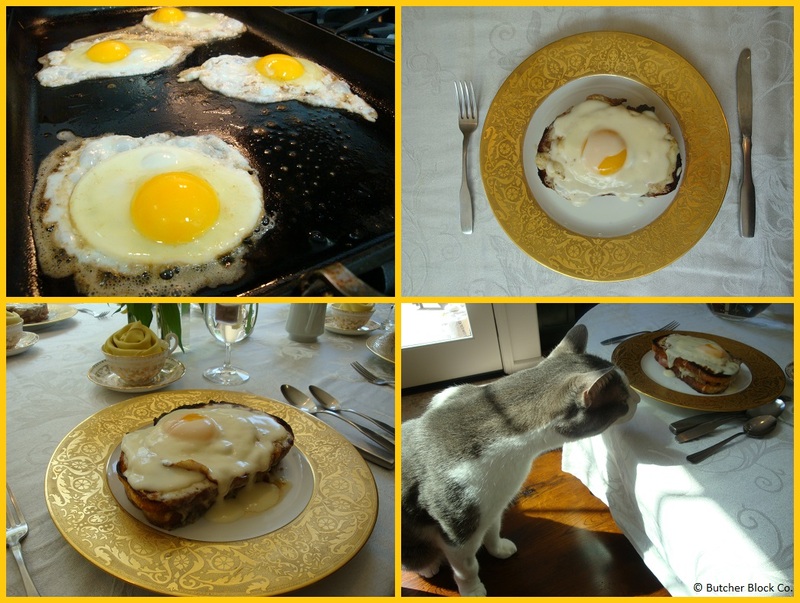 I want something as unexpected and decadent as my mom for this Mother’s Day brunch, so I am going with croque-madame, which I am predicting will be the next big brunch staple. Start by making your béchamel. In a 1 ½ quart heavy saucepan, melt 5 tablespoons of the butter over medium heat. Add the flour and whisk, cooking the roux until it is golden, about 2 to 3 minutes. Whisk in the milk and bring it just to a boil, whisking constantly. Reduce the heat and simmer, whisking occasionally, until the sauce thickens, about 5 minutes. Add the salt, nutmeg, and half of the shredded cheese and stir until the cheese is completely melted. Remove the pan from heat and cover it while you assemble the sandwiches. Preheat the broiler with a rack in the top third of the oven. Prep a baking sheet with a piece of parchment paper. Lay the slices of bread out, spreading a spoonful of béchamel on four of them and topping with the remaining shredded cheese. On the other four slices, spread the mustard and top each with two slices of the ham. Flip the ham side onto the cheese side and heat about a tablespoon of the remaining butter on a skillet or griddle. When the griddle is hot, carefully grill each sandwich on both sides until they are golden brown and the cheese is melted. Move the sandwiches onto the prepared baking sheet and top each one with about 1/3 cup of the béchamel. Broil the sandwiches until the sauce is bubbling, then turn off the broiler and move the pan to the lower third of the oven to keep warm. Add the remaining butter to the skillet and fry the eggs sunny-side-up, until whites are just set and yolks are still runny. Top each sandwich with an egg and serve. I put the remaining sauce in a little pitcher so we could add more as we saw fit, and I went a little crazy with the pepper grinder. Making that first cut, and seeing the yolk and steam release from inside the sandwich, I knew my mom would be proud. She taught me to revere a good sauce and a runny egg, so I know she would have loved this Mother’s Day brunch meal as much as I did. I also knew that she would be the first one to like the picture I would post to Facebook later. Mama, I know you’re reading, because you are my biggest fan and you never miss one of my posts. As you literally embark upon your next adventure, I know that you will continue to live as richly as you have so far. Even though you’ll be out of my reach, I will be thinking of you often. I hope it makes you feel as good as it makes me feel to know that you have imbued me with all of your vim and vigor and your incredible power to set an inviting table and top it with a damn good meal. I love you.